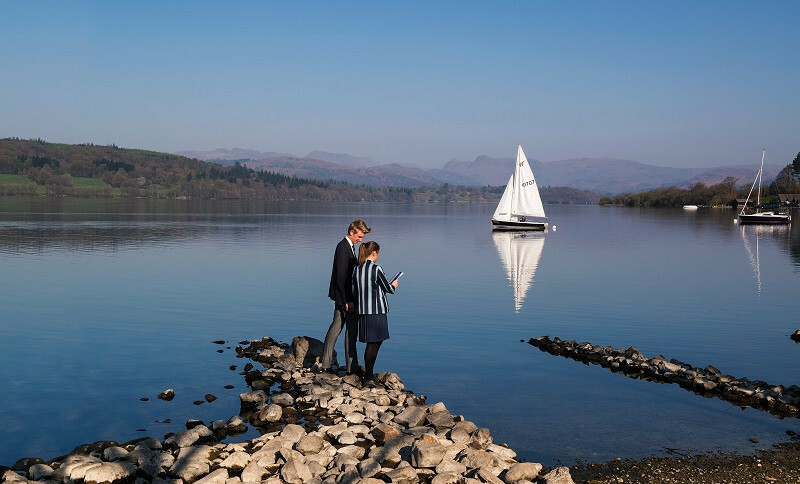 Windermere School is an independent, coeducational boarding and day school in the heart of England’s Lake District National Park, a UNESCO World Heritage Site. The School is split across three campuses on over fifty acres of land. The Elleray Campus is the Infant and Junior site (ages 3 to 11) and the Browhead Campus is the Senior School and Sixth Form site (ages 11 to 18). Boarding is available from the age of 8. These sites are approximately 2 miles apart. The School also has its own Royal Yachting Association (RYA) Watersports Centre on the shores of Lake Windermere. In 2018, Hodge Howe Watersports Centre became a British Youth Sailing Recognised Club by the RYA for its race training, becoming the first school in the UK to earn this status. Academic Programmes:At Windermere School, we aim to maximise each child’s academic potential, and believe we can offer a truly unique space in which children can grow and develop as well-rounded individuals. Windermere is one of the UK’s most sought-after destinations. It has easy access to major roads, airports and rail, and is safe, secure and convenient. The breathtaking location not only makes for an inspiring educational setting but enables students to make use of what surrounds them; taking part in watersports, hill walking and many other outdoor adventures. This makes for a truly unique and ever busy extra-curricular programme. The GCSE curriculum begins in Year 7, with the first exams in Year 9. The core GCSE subjects include English language, English literature, Mathematics, two Sciences and a Modern Foreign Language (French or Spanish) for examinations at the end of Year 11. Students choose three additional GCSE subjects in Year 10 and three in Year 11 for concentrated learning, with double the curriculum time. IGCSEs are also available in Mathematics and Languages. We accept entry into Year 11 as preparation for the International Baccalaureate Diploma, which is very popular with international students. Five GCSE subjects are studied to qualify for the IB Diploma. Windermere School is an IB World School and was awarded the International Baccalaureate School of the Year 2017/2018 by the Sunday Times. The two-year International Baccalaureate is offered in the Sixth Form, where students have the choice to study the Diploma Programme or the Career-related Programme. The students choosing the Diploma Programme will select subjects from the standard level and higher level, along with the Extended Essay, Theory of Knowledge and the Creativity, Action and Service modules, known as the IB Core. Above world average International Baccalaureate results allow the majority of students to access their first choice universities. There are approximately 350 pupils in total. The Senior School has approximately 280 pupils, of whom 50% are boarders. The size of the community has the advantage of providing a friendly atmosphere of understanding and fosters good staff-pupil relationships. Boarding: There is a strong boarding tradition at Windermere School that benefits the whole school community. Each Boarding House has live-in staff supervised by a House Mistress or House Master. There are weekend activities both on campus and with staff-led excursions throughout the Lake District and beyond. It is a safe and caring extended family environment where pupils can excel both academically and personally. Sport: Sporting activity and achievement is integral to our ethos and appreciation of the outdoors at Windermere School. Our physical education team actively supports our students and we are proud to have many exceptional pupils competing at the highest levels in athletics, cross-country running, hockey, kayaking, netball, sailing, tennis and tag rugby (at the Elleray campus). Our other major competitive sports include cricket and football with a wide variety of additional opportunities and after-school activities.